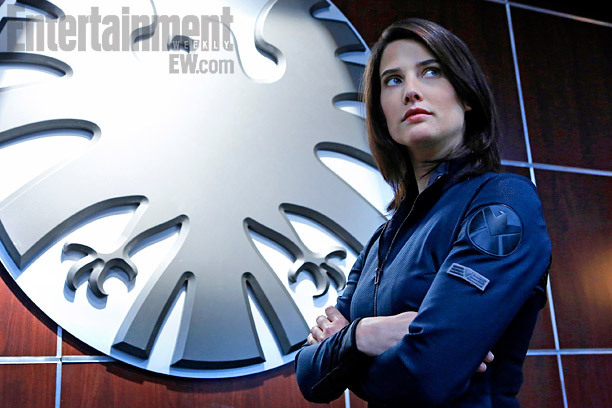 It’s official: Cobie Smulders is reprising her Avengers role in Marvel’s Agents of S.H.I.E.L.D. TV series. The How I Met Your Mother star appears in the very first episode, re-teaming her with Clark Gregg’s character Agent Coulson, in a pilot that’s been kept under wraps by the network. Smulders will be reprising her role as Agent Maria Hill from the 2012 Avengers movie blockbuster. She’s expected to occasionally appear in ABC’s TV spinoff but it will obviously have to revolve on her schedule with filming the last season of How I Met Your Mother on rival network CBS. We can only hope that Smulders will join the S.H.I.E.L.D. team full time after HIMYM ends if the ABC series returns for a second season. The heavily buzzed Agents of S.H.I.E.L.D. is making its San Diego Comic-Con debut today at a panel from 1:45 to 3PM PDT— and fans in the room are apaprently going to get a big surprise. Stay tuned to Idol Threat for more news.